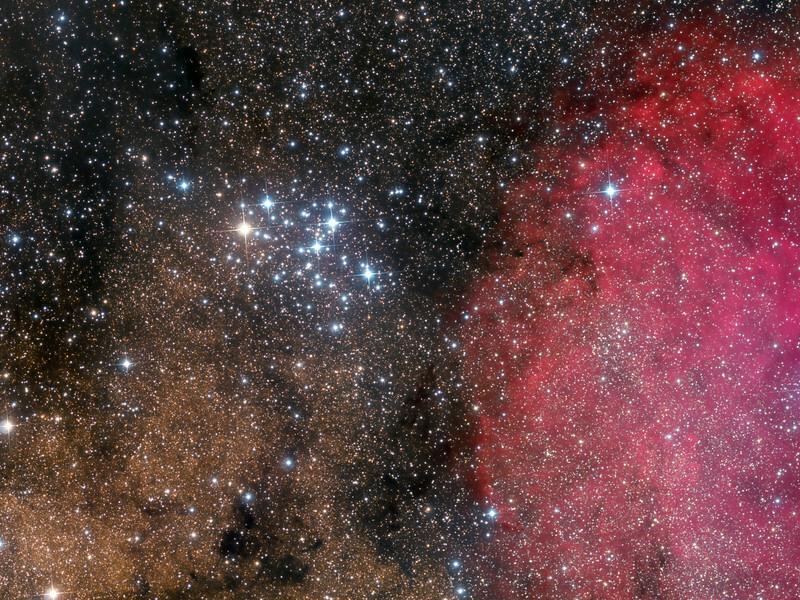 To some, the outline of the open cluster of stars M6 resembles a butterfly. 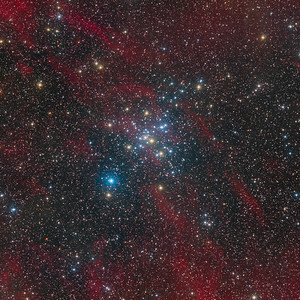 M6, also known as NGC 6405, spans about 20 light-years and lies about 2,000 light years distant. 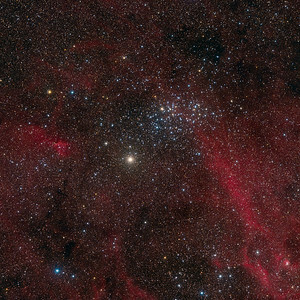 M6 can best be seen in a dark sky with binoculars towards the constellation of Scorpius, coving about as much of the sky as the full moon. 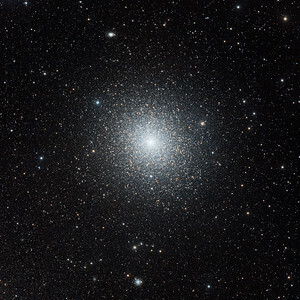 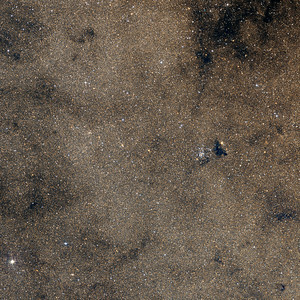 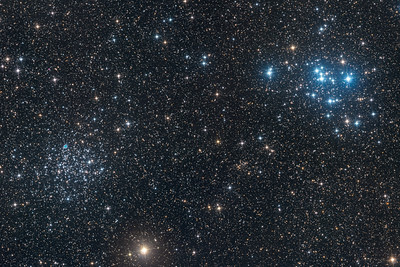 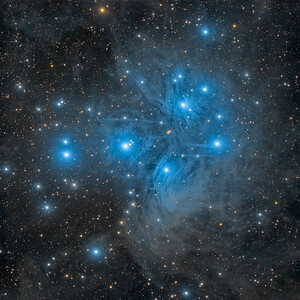 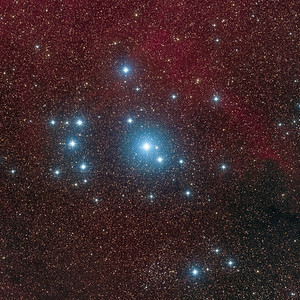 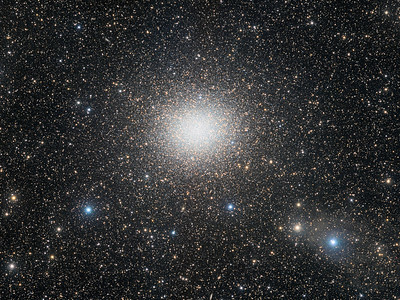 Like other open clusters, M6 is composed predominantly of young blue stars, although the brightest star is nearly orange. 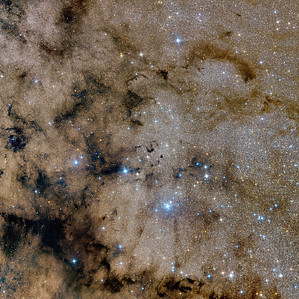 M6 is estimated to be about 100 million years old. 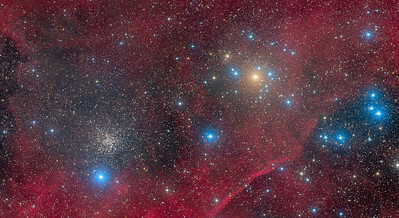 Determining the distance to clusters like M6 helps astronomers calibrate the distance scale of the universe (text adapted from APOD).